It turns out she's not alone. North Korea has its own Spill Zone, and a young man named Don Jae is the only one who made it out alive. Alive, but changed. Now Addison, Don Jae, and, curiously, a rag doll named Vespertine, share an unholy bond and uncanny powers. 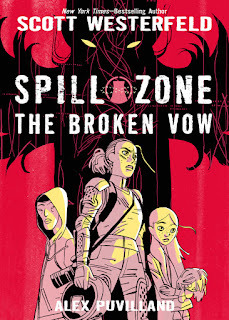 Last year I went and saw Scott Westerfeld when he was here on the “Spill Zone” tour, and after hearing him talk about it, I wasn’t sure if I was brave enough to pick it up after all. haha. 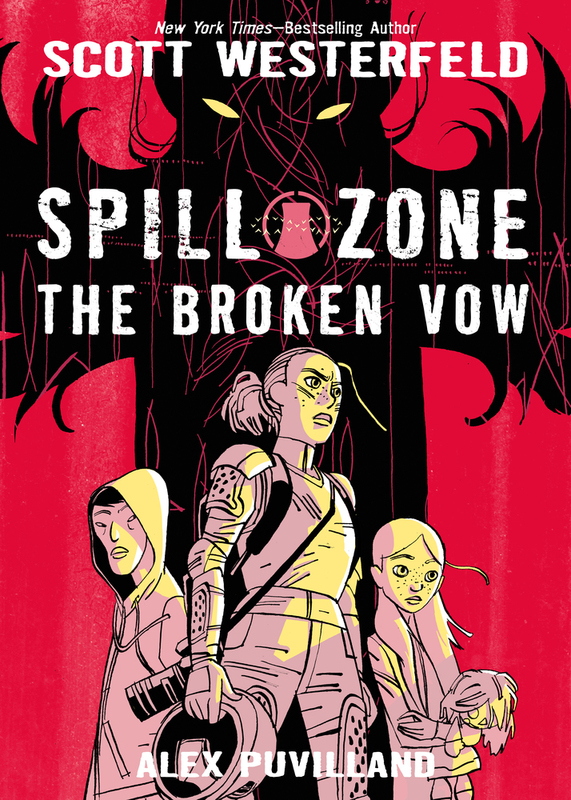 But today I’m on the “Spill Zone” blog tour (you can find links to all the other blog tour stops below) because my curiosity about these graphic novels won out. So I signed up to be part of the blog tour and finally read these. I have to admit that I’m fairly new to the graphic novel scene. I started picking them up more this year and it’s kind of a skill you have to develop! I can’t be sure if I would have noticed some of the details in the pictures if I hadn’t gone to Westerfield’s signing and heard him talk about how the little details played into the whole vibe of the story. I’m glad I went and remembered to make sure to give time to the pictures and all the details inside, because they were telling as much of the story as the dialogue. If you like sci-fi, low-key horror, and maybe even if zombies are on your interest list, this duology might be a good fit for you. I recommend grabbing both these and reading them in the same sitting (not that the cliffhanger of book one won't entice you on its own) If you're easily creeped out like I am, I think Westerfeld does a good job of giving purpose to the creepy elements, which amped up my interest in the story line enough to take the edge off a bit and keep me going. Over all an interesting cast of characters, and engaging story line, and a good dose of WTF. haha.